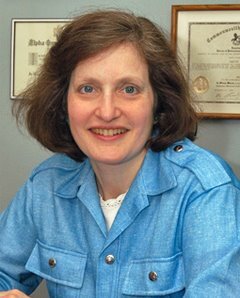 Orthodontist Dr. Judith A. Okun - Westchester and Rye Brook, NY: Tracey from Okun Orthodontics Is A Grandma!! Tracey from Dr. Okun's Office is now a grandma! Welcome to the family Jaylynn! Here's what she had to say about the new baby boy in her life. I’m so excited I don’t even know what to say. I have like no words to express my excitement. My daughter Katt had a baby boy on Sunday. Jaylynn Miguel is so adorable and tiny. I spent five days in the hospital with Katt before Jaylynn was born. He was five weeks early but is doing great. He was 19 inches long and five pounds 9.8 ounces and growing fast. He looks like he has nuts in his cheeks they are so pudgy and he is very alert, always turning his head toward the voice in the room. This was an unexpected vacation from work and I have a lot to catch up on now that I’m back. Don’t worry; I’ll be quick to get those insurance forms in order!